Most guests who stay at our beautiful guest house in Córdoba province, also take the time to go and see the village we belong to. And with good reason. 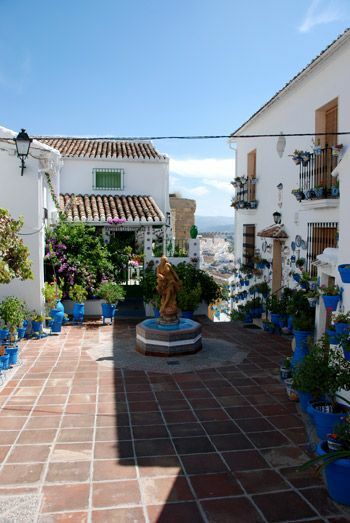 The village of Iznájar has recently been voted amongst the top ten of most beautiful villages in Andalucía, by readers of the El Mundo newspaper. From our peaceful location, just south of the village, it’s a 10-minute drive. As you drive down the side of the mountain you catch your first glimpses of the village, perched on a rocky outcrop above the lake, known as the “pantano de Iznájar”. The lake itself is man-made and was constructed in the Franco era, around the mid-seventies. Many parts of the original village are now submerged forever. It is the largest lake in the whole of Andalucía, and gets its supply from the river Genil. The village itself has two entrances and two parts, the first entrance leading to the top end, which is where most of the places of interest are located. Those who read the most recent blog post on “a grand day out” will know Bernadette will provide all the maps and other useful tips and tricks to make your visit worthwhile. 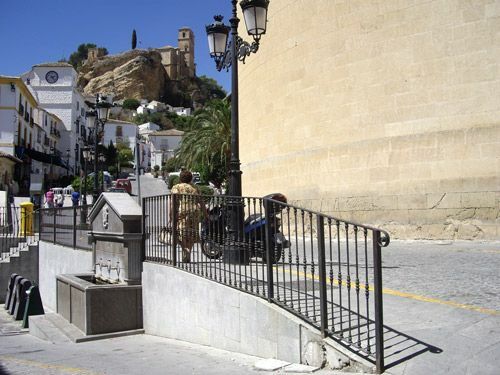 Most of the interesting places are located around the old part of the town, where the fortress (El Castillo de Iznájar 12th century) takes the centre spot. Parts of it have been restored and there is a guided tour. You can combine this with the Library and the church next door, but be sure not to miss the cemetery and the Plaza de las Comedias. The cemetery is a must to visit and leaves many visitors amazed. From las Comedias you can make beautiful shots of the surrounding countryside and the lake below. Fans of vistas can also visit the Mirador (viewing point) at the end of Calle Cruz de San Pedro for more breath-taking pictures of the area. Needless to say, Bernadette will not have forgotten you may need to sit down for a rest after all that hard work, so your itinerary will include a few suggestions for a drink, accompanied by a tapa, of course. Chin chin! A grand day out… in Andalucía!